If intrinsic motivation is at the heart of Japanese management philosophy, then extrinsic motivation is the badge of a Western mind-set. Can our old system learn new tricks? 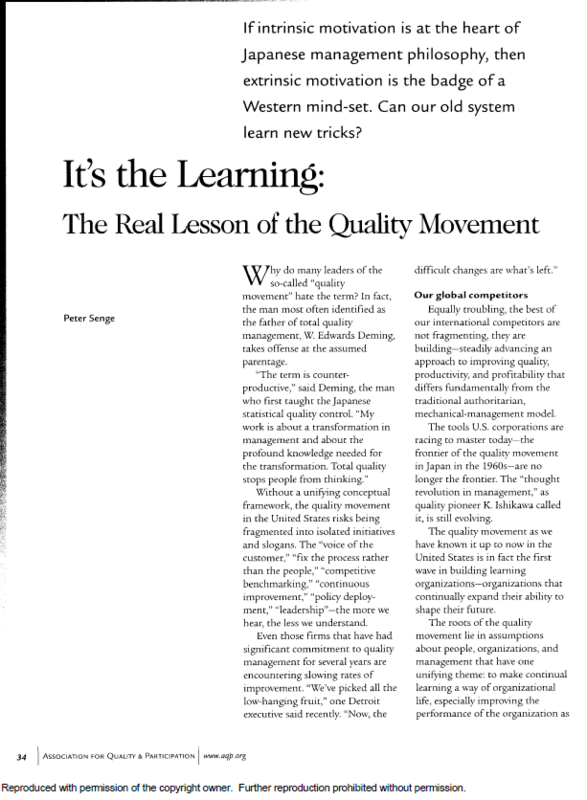 Read more in this paper by Peter Senge.